With several enormous residential towers under construction or soon to rise across the Financial District, the neighborhood’s real estate boom continues to accelerate. And now, YIMBY has learned of yet another giant that may join the current wave of projects, which will rise on the lots spanning 75-83 Nassau Street. ODA has been selected to design the tower, which will stand approximately 800 feet tall. 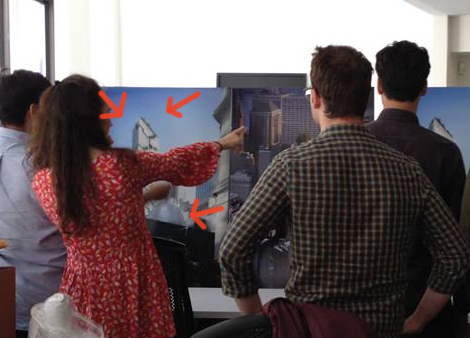 While renderings have not yet been made public, sleuthing reveals a tiny glimpse of the skyscraper in images posted to ODA’s Facebook, where it can be seen standing behind the oculus of Fulton Center. This past June, Crain’s reported on the sale of three buildings spanning 75-81 Nassau Street, which form the bulk of the assemblage. Lexin Capital bought the trio for nearly $46 million. YIMBY has learned that 83 Nassau Street will also be included (according to city records Lexin appears to have paid another $17.4 million for No. 83 and development rights associated with No. 85). While areas around major transit hubs like Fulton Center are traditionally better suited to commercial development, housing supply in the city has become so squeezed that residential development is the highest and best use nearly everywhere in the five boroughs, and the Financial District is no different. New buildings are planned for both 92 and 118 Fulton Street. On adjacent blocks, nearby projects under development include the Beekman at 115 Nassau, along with Lexin’s planned tower at 75 Nassau Street. All of these new buildings speak to the need for more liberal zoning in the Financial District, which has been constricted by limitations on both residential and commercial development. While the aforementioned towers will certainly be tall, none will make any particularly notable dent in the demand for new construction downtown. And if any neighborhood could take advantage of residential FARs above the state-imposed limit of 10 (or 12 with inclusionary housing), it is the Financial District. The neighborhood is already shrouded in shadows due to the much bulkier pre-1916 zoning code buildings that dominate the area, and there is no expectation of expansive, guaranteed views, or even much in the way of NIMBYism. As with the other towers, 75 Nassau will likely be largely luxury rentals or condominiums. While Crain’s previously reported that the site could hold a new tower of 100,000 square feet, evidently the scope has increased substantially. If the developer maxes out their zoning allotment by including commercial space (offices are possible, but retail and a hotel seem more likely), the parcels from 75 to 83 Nassau Street can hold 200,000 square feet of net development, with another few tens of thousands of square feet possible from the inclusion of No. 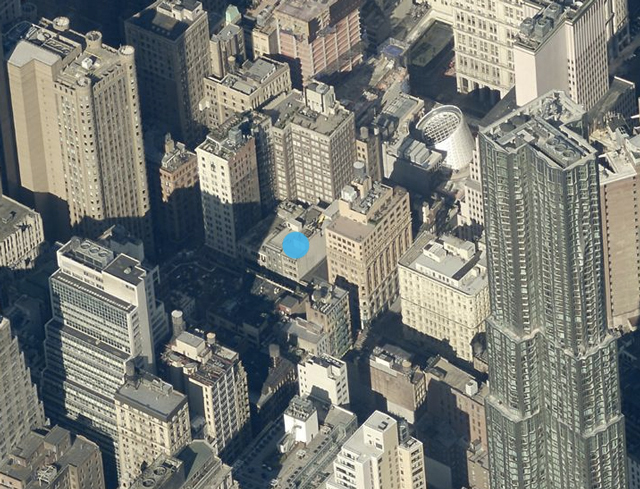 85’s air rights. A representative from Lexin Capital told YIMBY that plans for the tower – including what sort of uses will fill out the commercial component – have not yet been finalized.